Bambi and Hydrovane produce top quality products which are covered by guarantee for 12 months. They require little maintenance. We hold a comprehensive range of spare parts which can be readily dispatched worldwide. If you are an overseas customer, we can send you a tax free pro-forma invoice along with our bank details and we will ship the goods as soon as we receive payment. Customers within the EU will need to provide us with their VAT tax number. Customers that are not tax registered will have to pay the UK VAT of 20%. 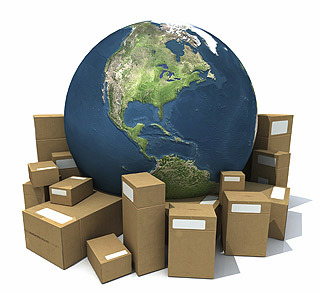 To obtain a quotation for shipping we would need your full address. Alternatively we can give you the dimensions and weight of the consignment and you may arrange for your own carrier to collect from our factory. Once we have received your payment we will pack the goods for export and notify you by email when the consignment is ready for collection. Export packing for Bambi products is free of charge. It is an extra £100.00 to export pack a Hydrovane compressor. Bambi compressors are available as standard for a 220/240vac electrical supply. We are able to provide 110vac on request. Please note that the receiver is liable to any import taxes that may be imposed. Visit our sister site: Rheological for hot glue guns, adhesive applicators, machines and sprays.